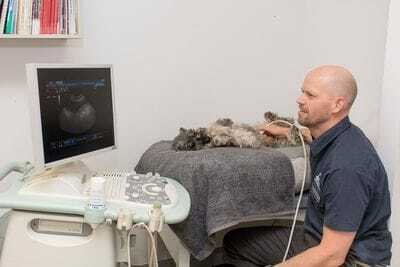 Ultrasound is a sensitive and non- invasive procedure used to obtain diagnostic images of organs and other soft tissue within the body, and can often be used for gathering biopsies without the need for surgery. We have an in-house Esaote My-Lab Ultrasound which can be used for a wide range of conditions such as: pregnancy testing, abdominal problems, and cardiac disease. For more information and to assess your pet's needs, book a consultation on the Central Coast at Terrigal Vet Hospital on 4365 2300.